This 2014 World Cup will take place in the fifth largest country in the world, a home to vast rain forests, cultural wonders, extraordinarily beautiful women and many champion football teams. 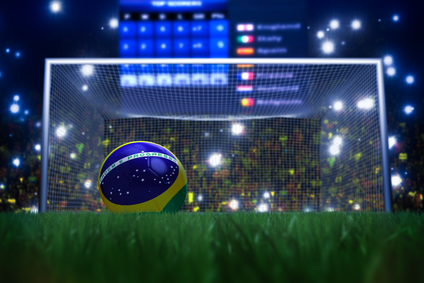 Brazil will welcome thousands of football fans from all over the world with the opening match on 12 June, 2014. Sports lovers will enjoy competitions that will be held in 12 Brazilian cities, including the capital Brasilia, beautiful Rio de Janeiro and magnificent Sao Paulo. It is clear that one of the major sporting events won’t be the only reason for tourists to flock to Brazil this summer, so a tourist boom is expected. This is why travellers have to be extra careful when visiting the host country in the next few months. Keep in mind, that citizens of UK, Ireland and most other EU countries as well as passport holders of South Africa don’t need a visa to travel to Brazil. If in any doubt we advise you to check with the Brazilian embassy to consulate your country. Book a hotel room as soon as you know which cities you plan to visit. Even in spite of the 147 new hotels built for the World Cup 2014, finding a room will be difficult due to the increased inflow of tourists. Make sure your travel insurance covers the entire length of time you plan to spend in Brazil. Contact your GP to check if you need any vaccinations. Make sure your passport will be valid for the next six months. To see more advice on travelling to Brazil this summer, please visit The Foreign and Commonwealth Office (FCO) website, it will provide you with additional information regarding Travel, Security and local customs that could help to ensure you enjoy your travel https://www.gov.uk/foreign-travel-advice/brazil. If possible, don’t travel at night, avoid questionable places and try to travel in company. Carry the contact information for the nearest embassy or consulate of your Home Country in Brazil, and local emergency service numbers: 190 (police), 192 (ambulance) and 193 (fire department). Drink alcohol in moderate portions. Drunk people are more likely to hurt themselves, get arrested or engage in questionable activities. Leave your passport securely in the hotel, carry only a photocopy of it with the entry stamp. Beware of food from street vendors and ice in the drinks, as they may be contaminated..
Use insect repellent to prevent mosquito bites that may spread diseases common throughout Brazil such as malaria, yellow fever and dengue. Heat-related sicknesses and dehydration are common problems during sportinfg events, especially if the take pl\ace in the area with the warm climate. Drink a lot of bottled water, wear a sunscreen and something to cover your head. Take out travel insurance policy that includes medical insurance; remember that EHIC is not valid outside Europe, so you’ll need a proper health cover. Keep in mind, that you’re going to a foreign country where English is not as widely-spread as in many other countries. Note that you will be one of many thousands of tourists arriving to the state with the population of more than 190 million people. The airports, stadiums, streets will be overcrowded and public transportation system will be overloaded. Anything can happen in such situation – loss of money, travel delay, scheduled airline failure, personal possessions theft, etc. Protect yourself with the right travel insurance policy so nothing could spoil your trip and fun from watching a good competition.